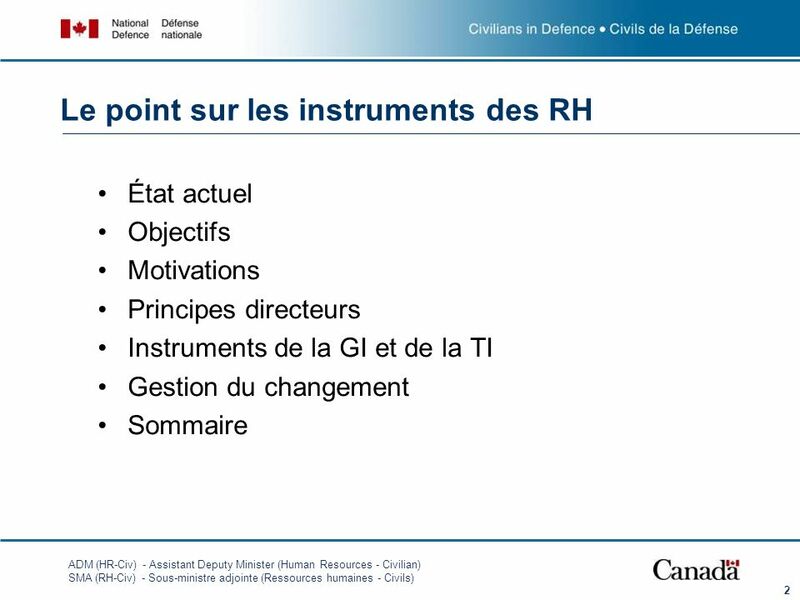 État actuel Objectifs Motivations Principes directeurs Instruments de la GI et de la TI Gestion du changement Sommaire The purpose of the presentation is to provide you with an update on all the activities we have been undertaken for the past 6 months. 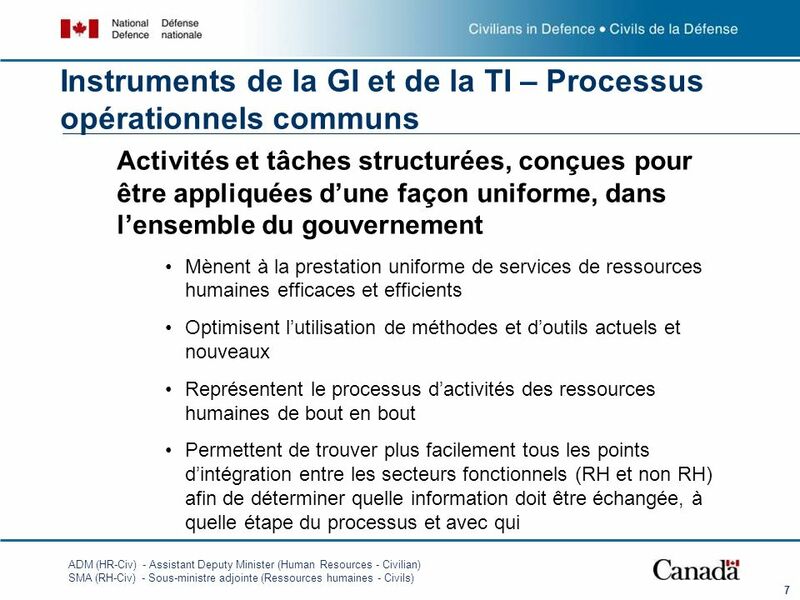 In regards to IMIT activities in HRVCIV. 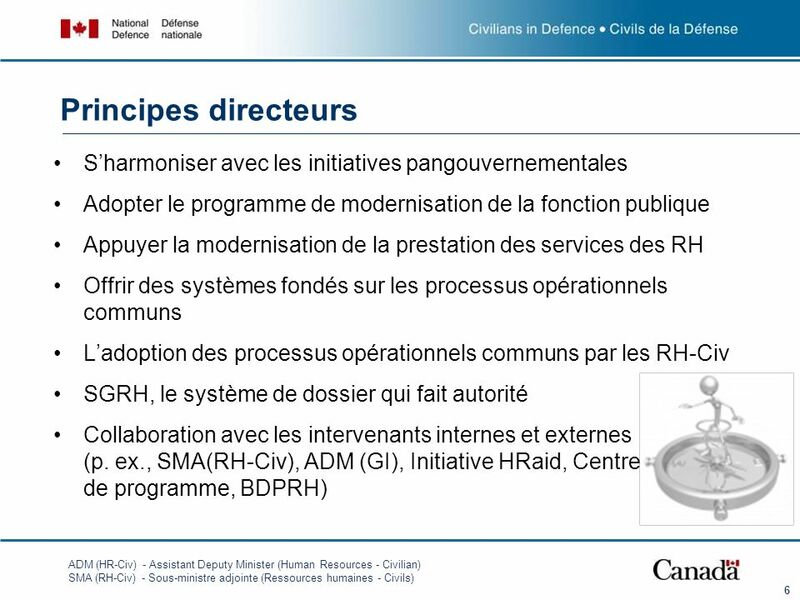 I have to stress that these activities has been established based on the consultation that I have been doing with some of you and the directors colleagues of mine during different forum Either IMIT steering committee or one-on-one meetings. 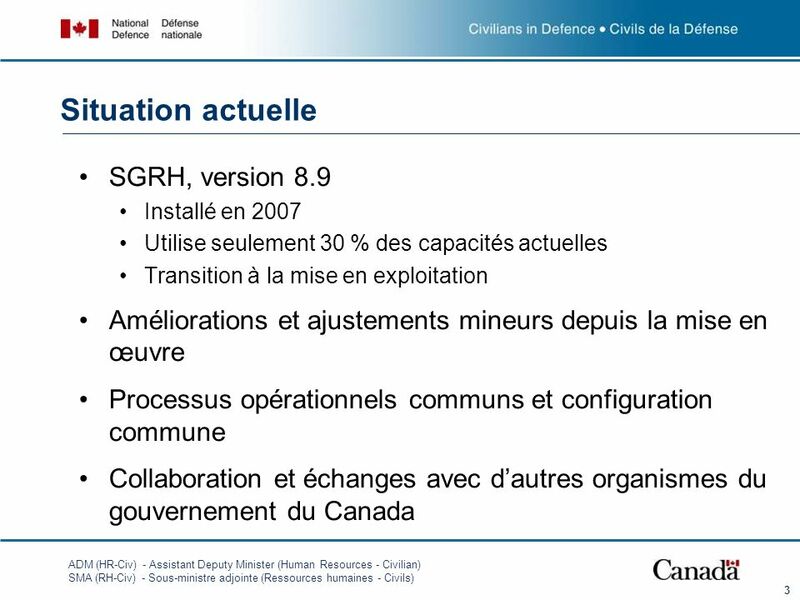 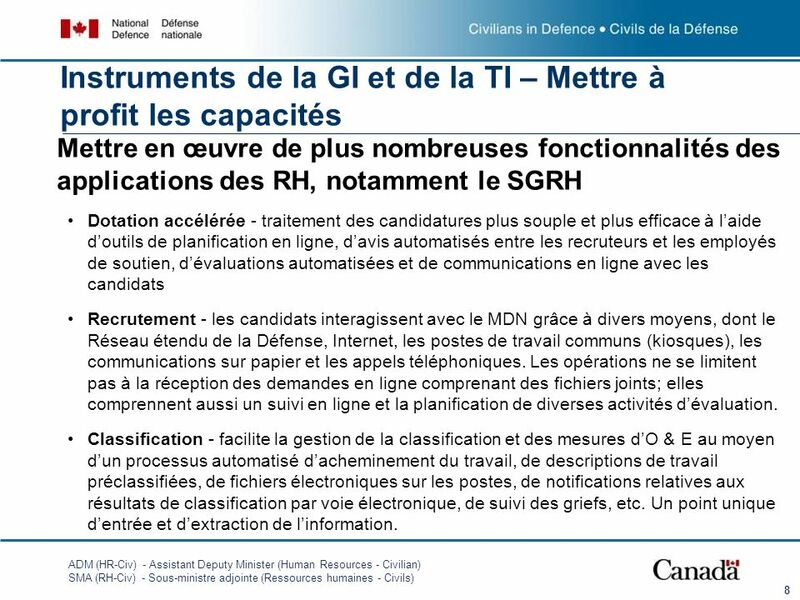 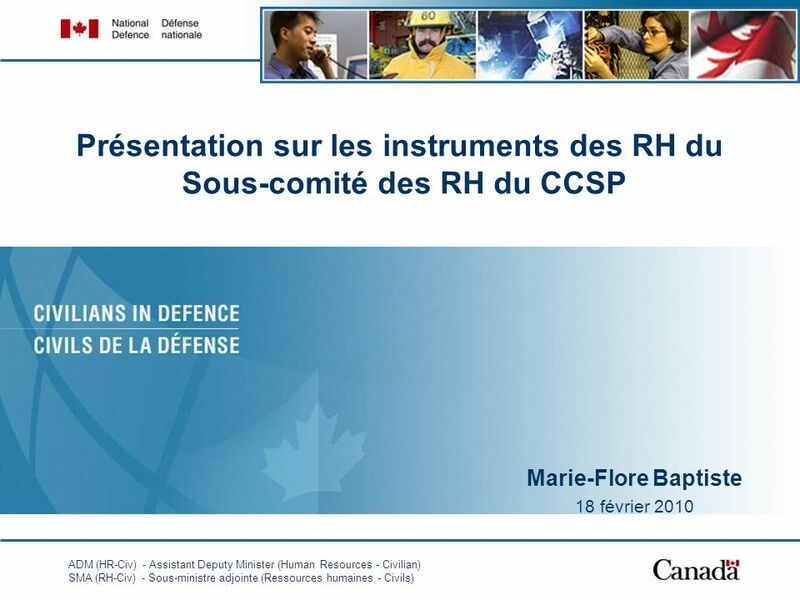 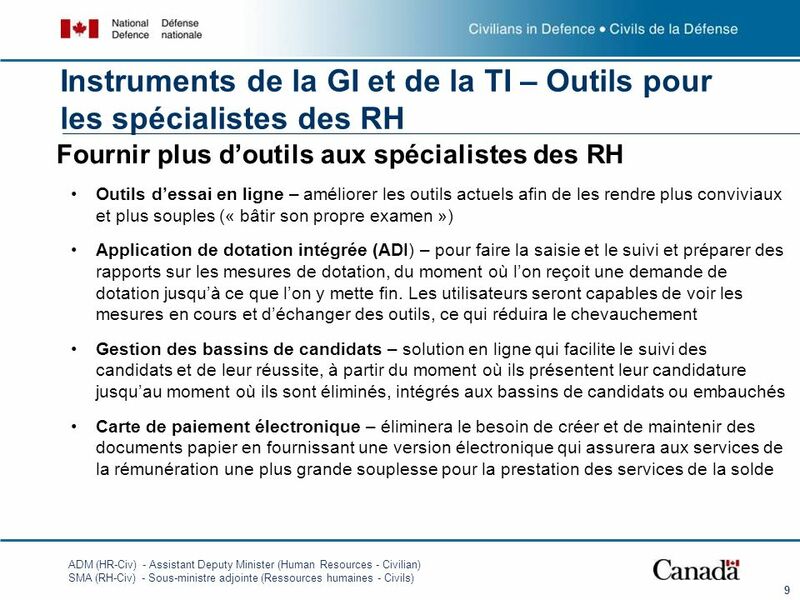 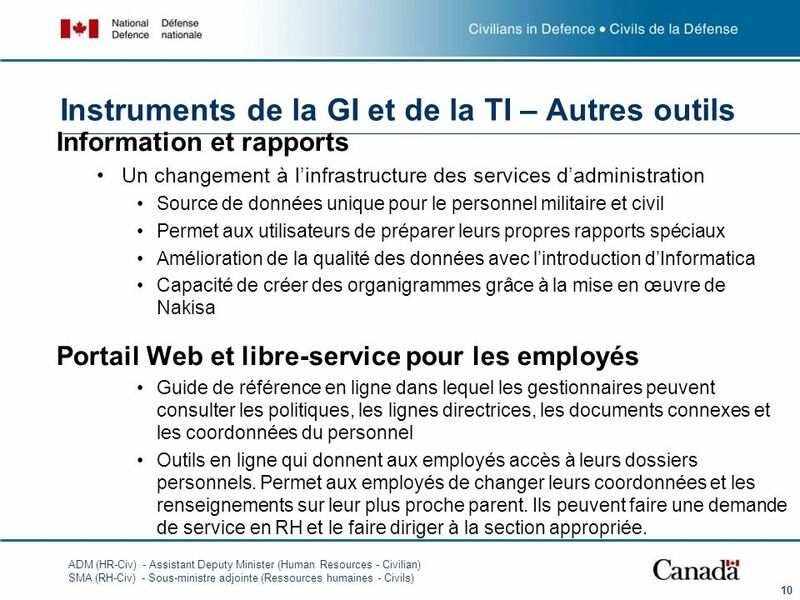 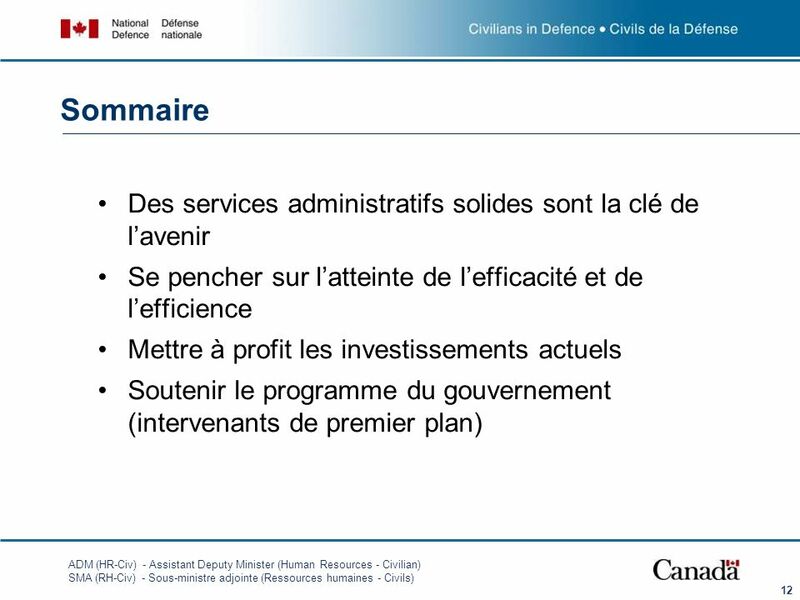 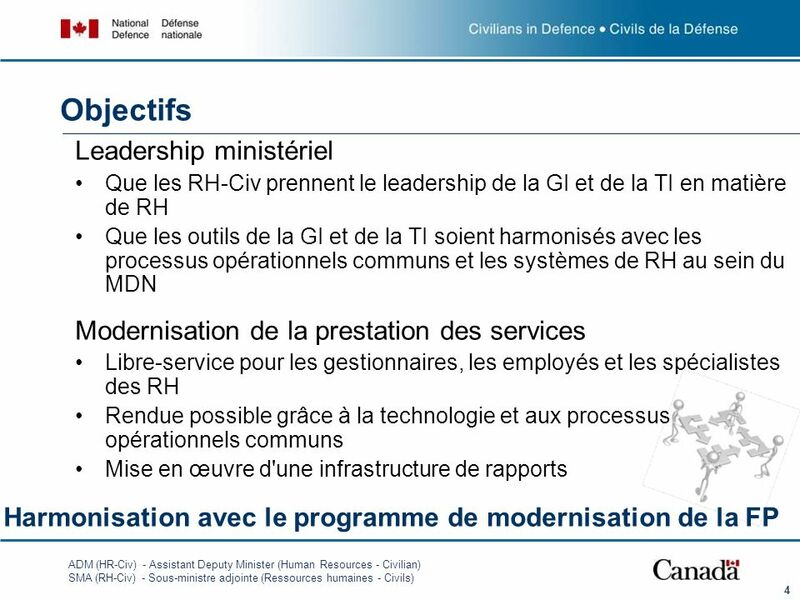 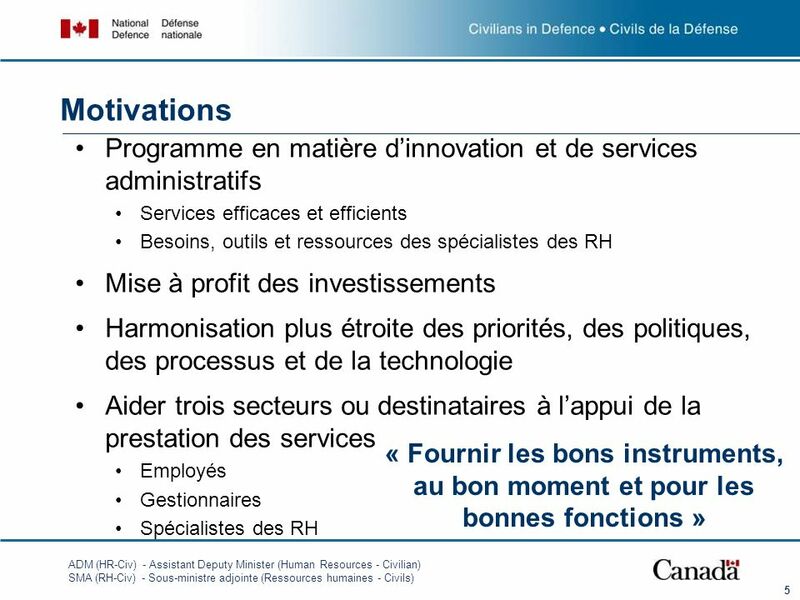 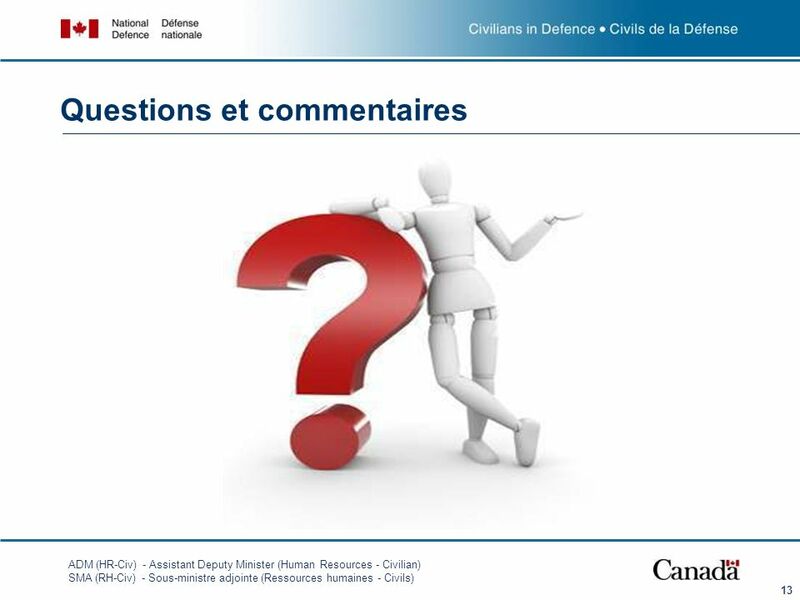 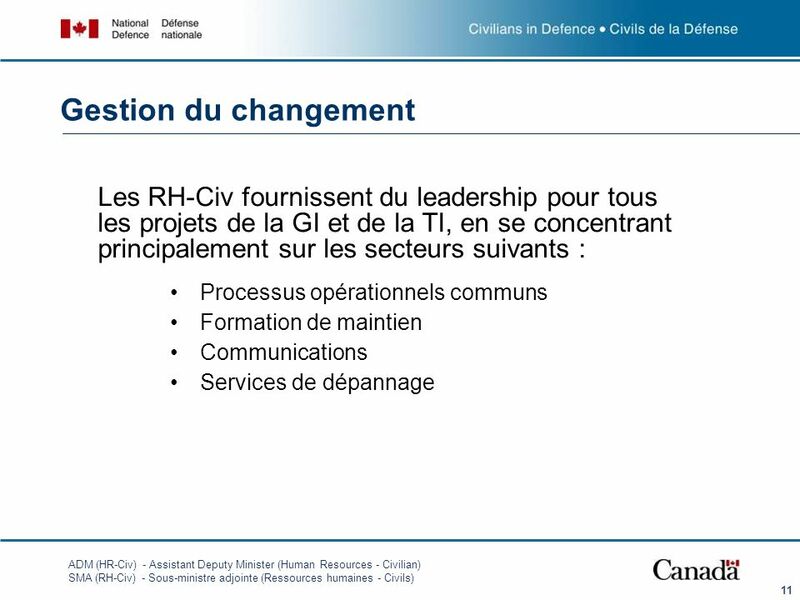 Télécharger ppt "Présentation sur les instruments des RH du Sous-comité des RH du CCSP"